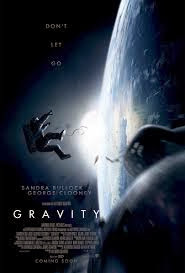 Pepare to be astonished, for in cinemas is Gravity, a spectacular space drama like no other. Starring Sandra Bullock and George Clooney, this mesmerising movie is a truly towering achievement from director Alfonso Cuarón that exceeds the outer limits of what cinema had previously achieved. The premise is strikingly simple, though its its execution must have been unimaginably complex. Bullock and Clooney play astronauts working 350 miles above Earth on the Hubble Telescope, when disaster strikes. The rest of the movie sees the two battle to survive in the unbelievably inhospitable conditions of outer space. Never has so much precision, so much detail, been placed in recreating the zero gravity conditions that seem so alien to us. Even the camera is not contrained by the laws of physics, floating around capturing the whole thing in awe-inspiring long takes. Cuarón also frequently switches between vast wide shots of space with claustrophobic POV shots inside the astronauts helmets. Character development is surprisingly economical. Bullock's Stone is the hero of the piece, a reserved and detached individual who we learn has joined NASA's programme to escape her own misery back on Earth. Clooney is her opposite, providing comic relief as her incessantly talkative and charming companion. These are basic characters with little development, and compared with the amount of time focused on the various action sequences, there's no question that Cuarón is in thrall to destruction over deconstruction. But that would be to belittle what is a monumental technical achievement. This is by far the most impressive blockbuster in recent years, a clarion call to the spectacle of cinema that will leave your heart racing and head spinning. Go see Gravity, watch it in 3D, and make sure you catch it on the biggest screen possible.